Program expenses including receipts and calculation of any unspent (residual) funds. NOTE: If your school did not deliver a program during the school term, you are still required to complete an acquittal. Review the Program Parameters and Terms and Conditions to ensure your school has spent the funding on supported costs. Review your confirmed Sport Package Bookings to ensure your school has used the Booking System to administer and manage Program delivery. Ensure your school’s nominated contact (Sporting Schools Coordinator, Finance Contact or Principal) completing the acquittal has all necessary information prior to accessing the form. Acquittals can only be completed online through your school’s profile as each acquittal is pre-populated with details related to your Sporting Schools program and funding. Select whether you delivered at least one sport program and/or requested sport package booking during the term (Yes or No), then click 'Next'. NOTE: If you did not deliver (‘No’), select a ‘Non-Delivery Reason’ from the drop down list and add a comment. You will then be directed to the Summary page as there are no program expenses to acquit. Review pre-populated Program(s) Nominated in Grant Application and Confirmed Sport Packaged Bookings. NOTE: You do not need to enter the Total Participants as this is calculated for you by adding your entered female and male participant numbers. Review the Spending Fact Sheet for information on the types of expenses supported by the Program. Collate relevant evidence of expenditure including receipts and invoices. Scan copies of evidence so they are ready to be uploaded. NOTE: You need to upload at least one file to proceed to the next section and submit your acquittal. Enter the $ Amount (ex-GST) based on the total amount in the relevant invoice. NOTE: You cannot change any other detail or delete a program. Do not edit the $ Amount field for any listed program that did not run (total amount is zero ‘0’). Enter Supplier, a brief description of the expense, Expenses Amount (inc-GST) and select if GST is applicable. Click Submit. NOTE: You can attach multiple files if required. Individual files cannot exceed 5MB in size and should be saved in one of the following supported formats: PDF, JPG, JPEG, PNG, BMP, GIF. Attaching at least one file is mandatory. NOTE: When your acquittal is successfully submitted you will receive a confirmation email which outlines your acquittal details. 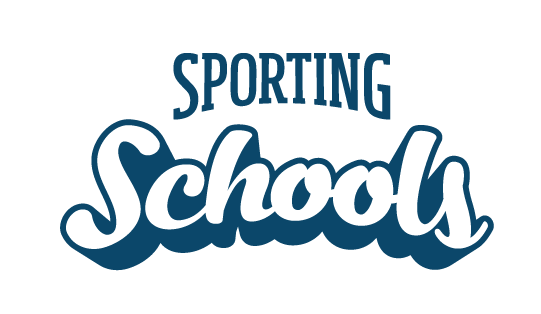 If you do not receive a confirmation email, please contact Sporting Schools on 1300 785 707 or info@sportingschools.gov.au. Once submitted, you will not be able to access or amend your acquittal. If you require any amendments to be made, please contact Sporting Schools. Remember - please do not return any funds to the Sporting Schools program until you receive an invoice as it includes payment instructions.